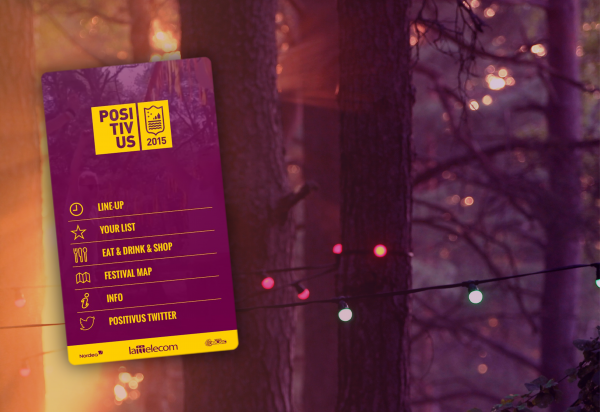 Now you can find all the information about Positivus festival in one app on your mobile phone! All you have to do is download the app from Google Play Store or AppStore or update the existing Positivus app and you’ll have a complete overview of activities at the festival. The app will help you find a full line-up of the festival as well as descriptions of bands, concerts and other activities. You can also view the map of the festival site, information about food vendors and the crafts market, Twitter feed, regulations, Q&A and more. This app will help to plan your festival activities so you don’t miss any of your favorite bands, film screenings or other events.